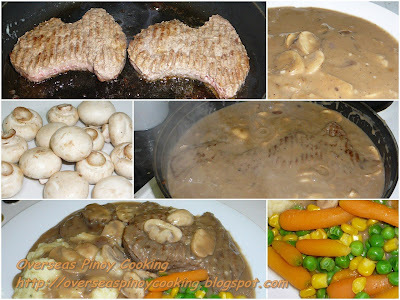 Salisbury Steak, Burger Steak with Mushroom Sauce is not new to most Pinoy, its one of the best seller of Red Ribbon and has been around for a long time. Jollibee have their version also. I love Salisbury steak, years back Red Ribbon’s Salisbury steaks was a regular lunch when I was working at Ortigas Center, our office was just across one of Red Ribbon’s bake shop. I was looking for a dinner at the supermarket when I noticed those burger patties shaped like the Australia Continent, yes tomorrow is Australia Day, and I thought it was the best time to make Salisbury steak dinner. This version is fairly easy almost all of the ingredients are available at any supermarket pre-cooked or partially cooked or prepared. 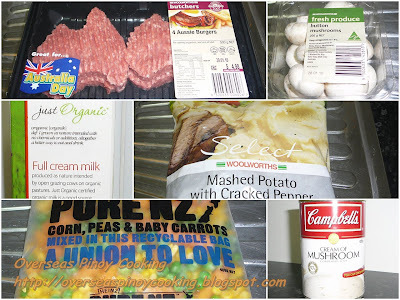 First of all find a 100% pure beef burger, it will make a big difference, we also need Campbell’s Cream of Mushroom Condensed Soup, pre-cooked mashed potatoes and mixed vegetables this will save a lot of time and effort. For the button mushrooms I used fresh ones but the canned mushrooms will do the job. Here’s the recipe. In a deep frying pan heat butter until it start to melt, pan fry the beef burgers in batches 2 to 3 minutes on each side, remove from pan and keep aside. Using the same pan, sauté onion and garlic until fragrant. Add in the soy sauce and stir cook for a minute. Add in mushrooms and stir cook for another 2 to 3 minutes. Now add in the Campbell’s mushroom soup and milk, simmer for 3 to 5 minutes at low heat while constantly stirring. Season with salt and pepper to taste. Add in the fried beef burgers and simmer for another 2 to 3 minutes. Arrange beef burger with mashed potatoes and mixed vegetables in a plate and pour over the sauce on top, serve immediately. hi there! whereabouts are you in Australia? I'm in ACT. I'm your fan for 2 years now. You inspired me to cook. yes, tomorrow is Australia Day and I might try to cook the salisbury steak. Missed your cooking. Glad you're back! hello. i'm not in oz, but i'll definitely try this recipe..thanks for posting! God Bless! wow..this is very helpful...I'm from melbourne..thanks so much mate:).p.s I'm a filipino too, I'm missing alot of filipino dishes.. Recipes that I used malunggay leaves are dishes that I have cooked when I am back, in the Philippines or when I was in the Middle East. Indians used malunggay as well If you know any Indian store there they might have it. 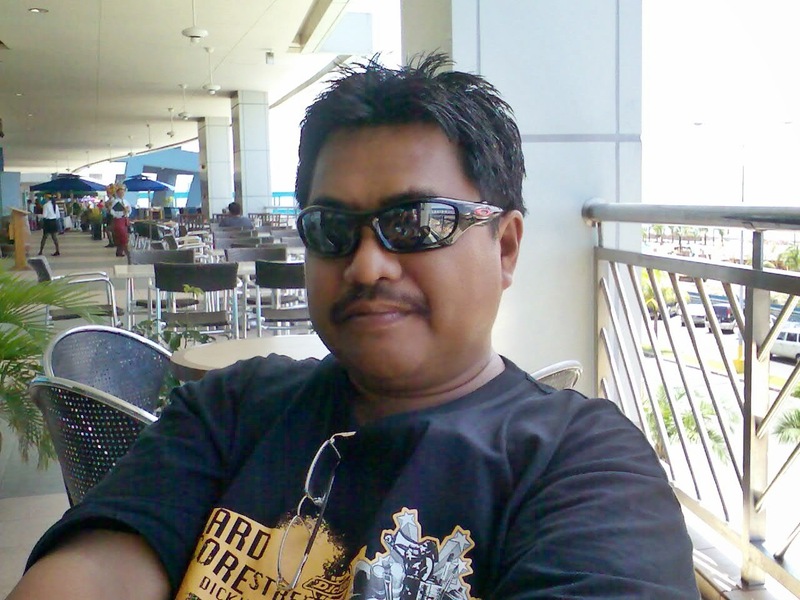 Thanks for the quick reply..We have been in the middle east ( Qatar) too and malunggay trees are everywhere.. Thanks for the tip.. i'll check the nearest indian store here. ill try to cook it at home. been looking for this! thanks man! eto lagi ko inoorder sa redribbon.. ill try to make one for dinner later, hope my family loves it! !